The New York Times Backstory, on li ne October 2, 2015, explained the story behind Charlie Brown, Charles Scultz, it’s creator, and the Peanuts comic strip. Who knew it was 65 years old, a Boomer generation creation! So, just in time or us to take our grandchildren, a movie about Charlie Brown is coming out. Perfect to introduce this to even our youngest grandchildren. Go to Peanuts Movie to watch the trailer with them. Introduce the grandchildren to all the characters on the website. If you click on their name, a blurb appears. You can create your own Personalized avatar character! watch videos and play. Now go to books, and start with Halloween coming up, “It’s a Great Pumpkin, Charlie Brown,” at Amazon for preschoolers and up. The choices for books go Up to age eight. There are older movies too. For ages 9 to 12, there are comic books and comic novels to choose from. Finally, and most important, share the 65th anniversary of Peanuts and Charlie Brown with memories of your childhood. The grandchildren will love your personal experiences. 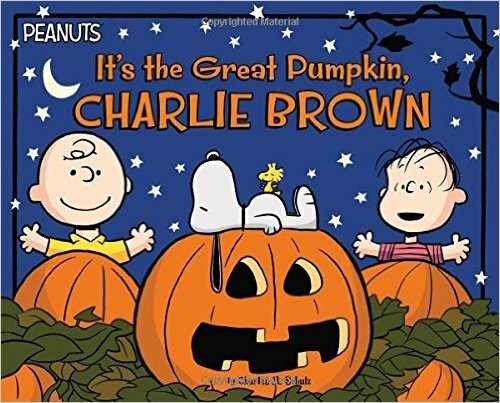 According to Wikipedia, “Charlie Brown’s birth date is October 30. In the original Peanuts strips (excluding Li’l Folks), his birth year is suggested to be 1946 according to a strip originally published Nov. 3, 1950.” See, Charlie Brown is a Boomer! “Despite later strips showing him living in a house with a backyard, initially Charlie Brown suggests he lives in an apartment with his grandmother occupying the one above his.” We can compare how life is so different now with many of us being long distance grandmas. Read the Wikipedia history which will help refresh your recollections of Charlie Brown from the 1950’s to today. In addition, we have the opportunity to explain feelings and emotions with Charlie Brown. According to Wikipedia, “Charlie Brown’s traits and the events he underwent are inspired by those of Schulz, who admitted in interviews that he’d often felt shy and withdrawn in his life. . . He is a child possessed of significant determination and hope, but often fails due to his insecurities.” We can talk about shyness in our grandchildren or in others and how our grandchildren can help others who are shy. This Grandma has written on resilience and its importance in the lives of our grandchildren. According to Wikipedia, “Charlie Brown is optimistic enough to think he can earn a sense of self-worth, and his willingness to do so by exposing himself to humiliations is the dramatic engine that drives the strip. The greatest of Charlie Brown’s virtues is his resilience, which is to say his courage.” We can use Charlie Brown to begin the dialogue of building resilience in our grandchildren. Optimism, hard work, strength, resilience. . . .all virtues that will serve our grandchildren well. Maybe it is that Charles Schultz tapped into us, Boomer Grandmas, and knew we could use his characters in so many ways with our grandchildren. We can share and enjoy Charlie Brown with this new generation. Start with his Halloween book! Reserve taking the grandchildren to the movie!